What is the Origin of April Fool’s Day? The history of April Fool's Day is uncertain. It most likely began around 1582 in France with the introduction of the Gregorian Calendar, the calendar we use today. New Year's Day was moved from April 1 to January 1 at that time. Communication traveled slowly in those days and some people were only informed of the change several years later. Also a rebellious few refused to acknowledge the change and continued to celebrate the new year on April 1. These people were labeled "fools." However, the first known association of April 1st with fools is in Chaucers’ The Canterbury Tales which was published in 1392. Perhaps the calendar change merely reinforced this connection. 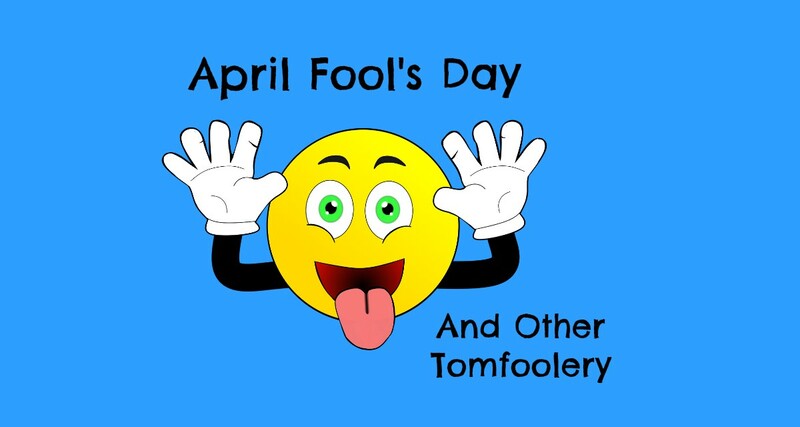 We now celebrate April Fool’s Day as an unofficial holiday in the United States, Canada, Europe, Australia, and Brazil. It’s a day for playing practical jokes on other people. The person who successfully fools someone gets to yell “April Fool” to inform his victim that he has been tricked. You are very likely to see hoax news stories on April 1st. Be especially skeptical on that day. Google is well known for April Fool prank stories as the various divisions of the tech giant compete with each other to pull off the biggest hoax. What Are the Definitions of “Fool”? He’s talking nonsense like a fool. 2. A person who acts unwisely or imprudently. He was a fool to sign the contract without reading it. 3. A person lacking in common sense; a simpleton. You’d have to be a fool not to know that. 4. The court jester in the royal and noble households of Europe during the middle ages was sometimes known as “The Fool”. The king kept a Fool to entertain the court. 5. A person who is duped. He made a fool of me when he tricked me. 7. An English dessert made with cooked fruit and whipped cream or custard. (Here are some recipes for Classic English fool. 8. Fool is also a verb meaning to trick or deceive. 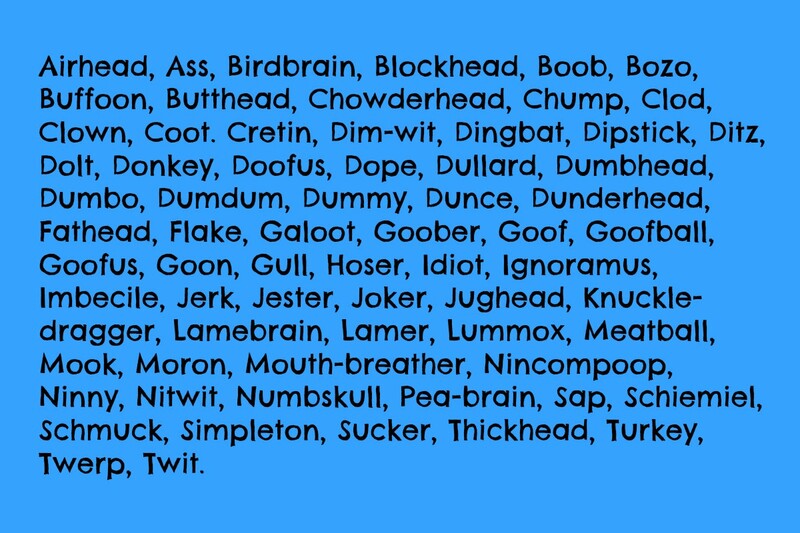 What Are Synomns for "Fool"? What is the Etymology of the Word "Fool?" The etymology of “fool” is interesting. It came from the Latin word for bellows, “follis,” which became the French word “fol” which came into English around the 13th century as “fool.” Most likely the blacksmith’s bellows was a metaphor for a wind-bag or empty-headed person. Does the apostrophe go before or after the "s"? It depends on whether you think the fools are singular or plural. Technically both are correct. However, "April Fool's Day" is the more popular spelling and the spelling used in the Oxford English Dictionary. We can also use the analogy with Mother’s Day and Father’s Day. Both are singular with an apostrophe before the s. So let’s treat the April Fool in a similar manner. What Is the Court Jester? In Medieval and Tudor times in Europe, the king and other noblemen would employ a court jester to provide entertainment. 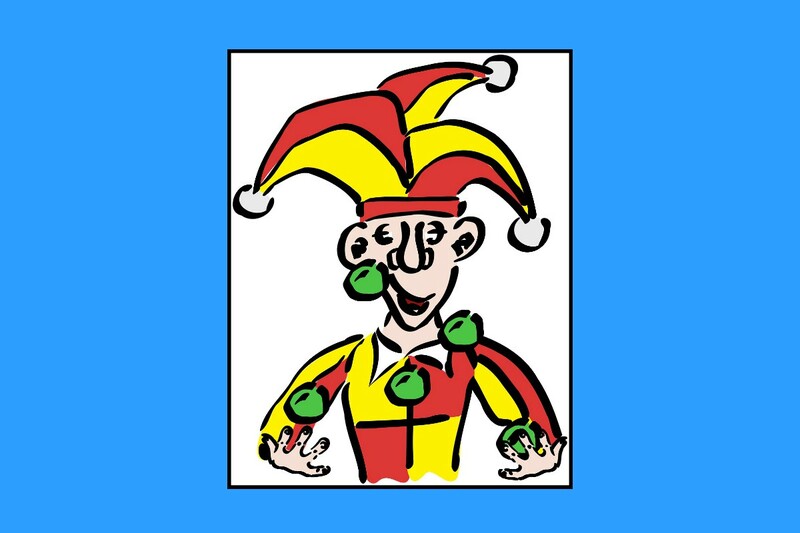 The jester was usually dressed in brightly colored motley (clothing with a harlequin pattern) and wore a cap adorned with bells and/or baubles. Jesters were also itinerant comic entertainers who performed for the common folk at fairs and markets. They sang songs, told stories, and performed acrobatics, juggling, and magic tricks. Jesters, like modern say satirists, often used their act as satire to poke fun of well-known people and events. Jesters at court were encouraged to be critical; but had to be careful—if their wit went too far, they could be whipped or worse. 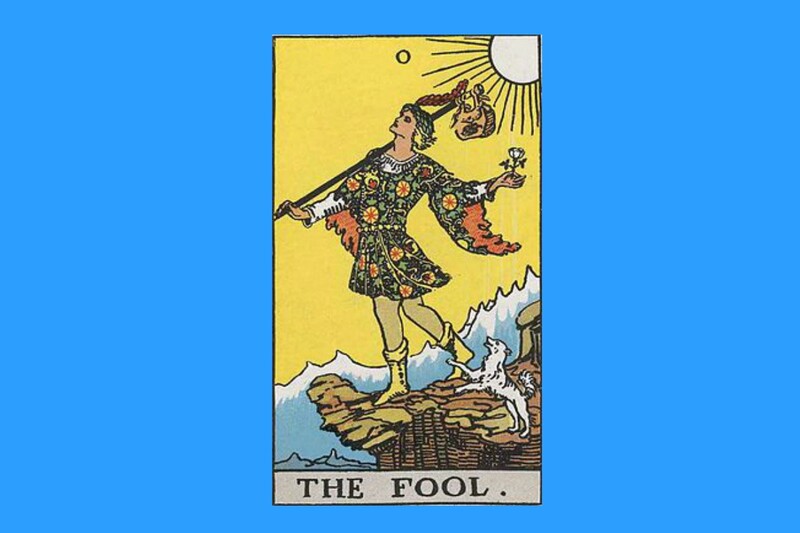 What Is the Meaning of the Fool in Tarot? In Tarot, The Fool” is depicted as a youth setting out on a journey. This card is the first of the 21 cards of the major arcana. It represents the start of a journey to wisdom—the youth just starting out on his life's journey is depicted as a fool because he knows nothing. When a tarot reading is done, the card indicates newness. It is a positive card that can mean the beginning of something like a new relationship or a new enterprise. It can also mean a fresh start or the need to make a choice. The card also indicates optimism, purity, and the high-spirited energy of a child. He has a carefree confidence. He is about to explore the world and his future is full of possibilities. Why Is the Joker In a Deck of Cards? Some decks of cards include two jokers. The jokers do not have suits (heats, diamonds, clubs and spades) like the other cards. Many card games do not include the jokers. When they are used, they are often played as “wild" cards. 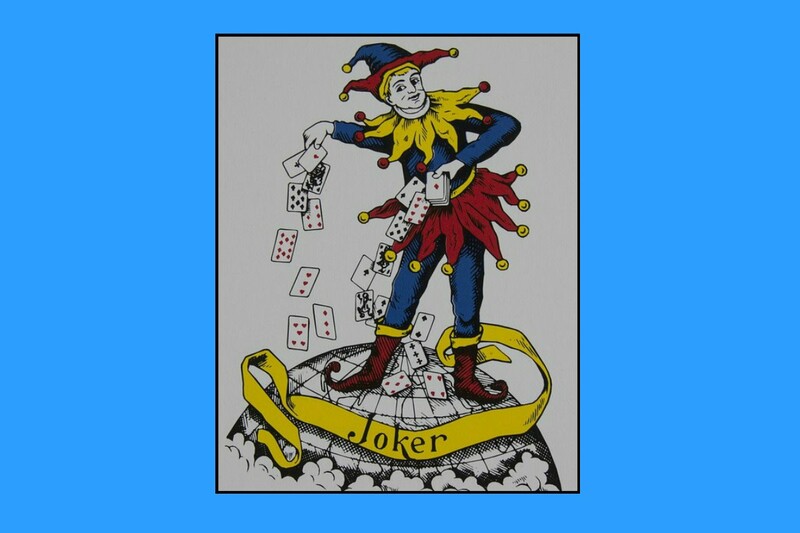 Jokers first began to appear in decks in the 1860’s. At that time euchre was a very popular card game. American euchre players decided that an extra trump card was needed. Originally the card was called “The Best Bower”; it later came to be called “The Little Joker” or “The Jolly Joker”. Why introduce a joker instead of some other character? Playing cards are derived from tarot cards, so the joker was taken from tarot and added to the deck that already included cards from the major arcana of tarot--the kings, queens, and jacks. The joker is usually drawn to look like another member of the royal court--a court jester. What Is the Origin of the Word “Tomfoolery"? The word “tomfoolery” may have originated in the southern part of the United States. It means high-spirited or silly behavior. It may have derived from the term “Uncle Tom” and referred to a slave who acted the fool to stay in his master’s good graces. The mineral pyrite or iron pyrite is sometimes called fool’s gold. It is pale yellow in color with a metallic luster giving it a resemblance to gold. 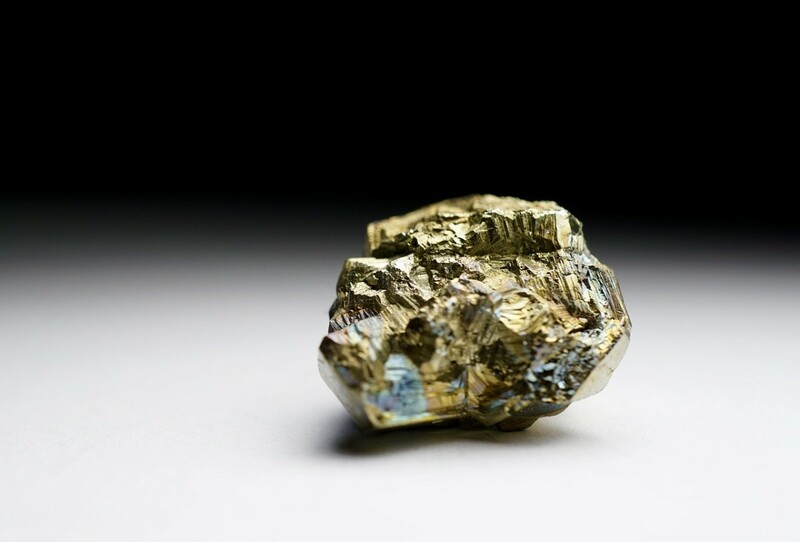 Despite being called fools gold, pyrite is sometimes found together with small quantities of gold. “There are several minerals which are sometimes mistaken for gold, but the two which are most apt to give rise to deception in this matter are pyrites and mica, and hence they are sometimes called fool's gold." The shares I bought in the new tech company turned out to be fool’s gold. What are Some Proverbs, Sayings, and Quotes about Fools? There are lots words of wisdom about fools and foolishness. Many are anonymous. I have included attributions where I could find them. Fools are a popular topic for pop song-writers. I’ve included these video clips for your listening pleasure. A fool and his money are soon spotted. It is better to be silent and thought a fool than to speak and be proven a fool. What Are Some Songs About Fools? Fools seem to be a popular topic for songs. Here are three favorites. Do you rush in where angels fear to tread? FlourishAnyway: Thanks for the shares. There is a discussion in the Forum about Flipboard. No one seems to know why. Flipboard, twitter, and G+ have to be done manually using the URL. I'm back to share on social media. Have you noticed the Flipboard icon is missing? Don't know why! Paula, I am sure it is more fun to celebrate your grandson's birthday than to play tricks on people. I hope your friends only play fun tricks on you, not mean ones. Thanks so much for your comment. Great hub on the History of what used to be one of my FAVORITE days for "pay-back" if you know what I mean!! However, 21 yrs ago, one of my Grandsons was born on April 1st! Now of course we're busy celebrating with a party and just having "good" fun...No practical jokes allowed! LOL Which of course does not include some of my crazy friends who insist upon "tricking me" all they want! Of course, no essay about fools would be complete without a quote from George Bush. I can't say the same about Trump. He is not a fool, he's just plain crazy. I heard this joke: Bush is happy Trump got elected because now he is only the second worst president in American history. But I digress. I enjoyed your comment. The best part of April Fool's Day pranks is that you feel so smart when you DON'T fall for them. I can't wait to see what we get this year. Thoroughly enjoyable from start to finish. I really love the George Bush quote. Who woulda thought he'd be missed? This has brought back fond memories of all of the fun April Fools Day pranks I've witnessed. With a sense of humor we can celebrate just about anything, even fools. colorfulone: Thanks for commenting. I'm pleased I could tell you the origin of the day along with a lot of trivia about fools. It's nice in a way to have a day to celebrate fools. Uzo: My pleasure. 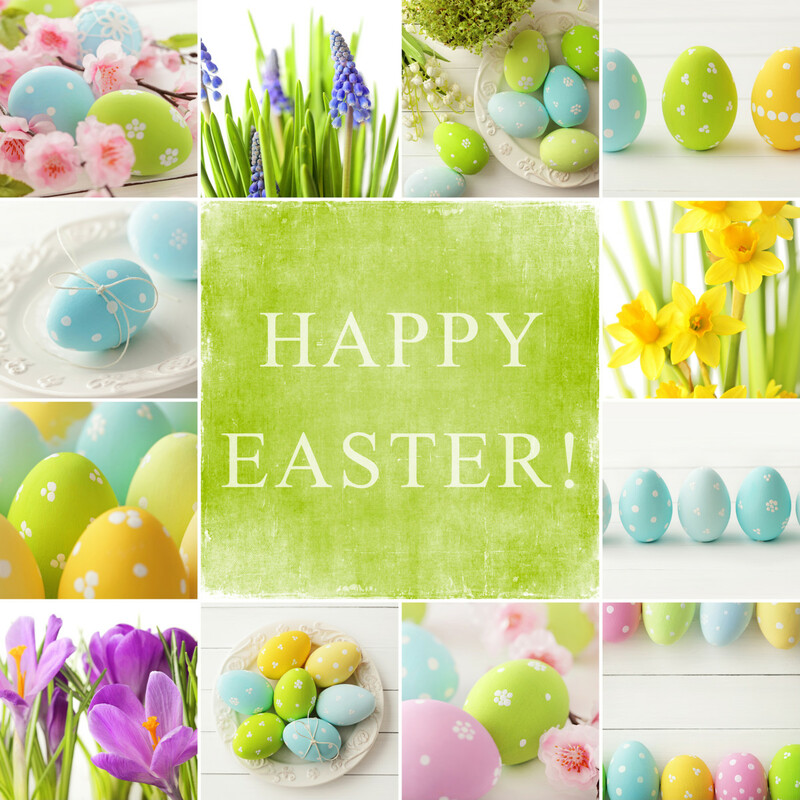 April Fool's Day is a funny kind of holiday without a religious or civic origin. You might say it is a foolish holiday. I never heard or read about the origin of April Fool's Day before. "Interest" stuff you have complied in this hub, Catherine. Very well structured hub. Thanks for teaching me on the origin of April fool, and others. PStraubie48: Thanks for the comment, votes and shares. 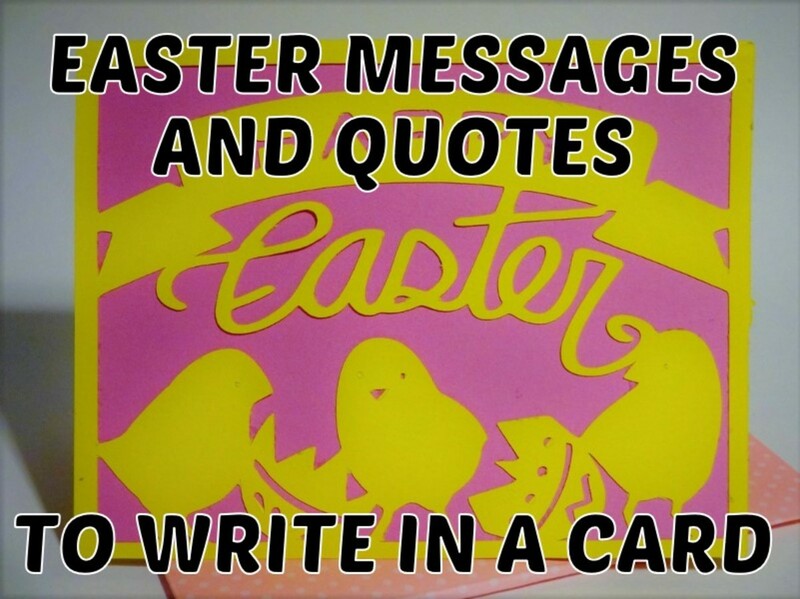 I'm sure your sisters will enjoy the April tomfoolery. It's so nice to have this as your special day. My birthday is near Valentine's Day so that is a constant theme for me. And 2 days later is the birth date of my eldest sister (18 years older).so this is a special time for me and them. You did a great job of filling in the details about this special date. Thanks Ann. The April Fools hub was fun to write. Thanks for adding to my research. I did not know about the April Fool fish in France. Thanks for the votes and sharing. What an entertaining hub, Catherine! I used to hate 1st April because I was quite gullible when young. The English one used to end at midday (not sure about now) so I breathed a sigh of relief at lunch time! The French call it 'Poisson d'avril' because they pin a fish to someone's back; those who don't notice are laughed at of course. Fascinating research here and some great quotes and examples. Love it! Up++ and shared. Anne Harrison: I had never heard that about Jesus. You have provided new trivia for my hub, regardless of whether it is true or not. Thanks for voting up. Whitney Rose Wood: Thanks, Yes it is pretty amazing "some of the "foolish" facts I dug up. Glad you enjoyed the hub. Thanks for voting up. Great article, I would never have guessed that the word "fool" was derived from the Latin word for bellows. I could see why it did though. I enjoyed reading this. Voted up. Kevin, thanks so much for your vote, share and pin. It was fun for me to write about fools. Here I am in my dotage and I'm still a fool. Congrats to you for learning not to be a fool. This Hub was very interesting Catherine. I always think things through before do anything. In school I learned - slowly - about being a fool and gradually overcame it. By the time I graduated I had learned and was not one anymore. I voted this up, shared and pinned it. Lorelei: I bet your granddaughter gets a lot of kidding about being born on April Fools Day. I'm sure she will enjoy knowing the origin of the term and all the other fool-related info (call it trivia, if you must) I provide. I had no idea where the April 1st fool day came from. 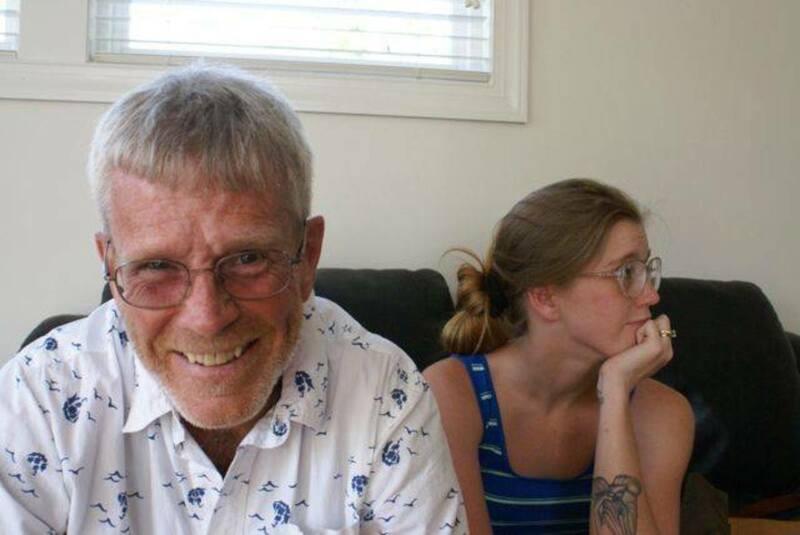 One of my granddaughters was born on this date so it is very interesting trivia to know. I will pass it along to her. melissae1963; I feel so flattered and pleased that you want to share my April Fool research with your sixth grade class. What a wonderful idea. Do come back and let me know how it went. This is so interesting. I'm going to share it with my sixth graders. Chriswillman90: Thanks for your comment. I'm glad you found all the fool trivia interesting. I guess I just have a curious mind. I like to know the why behind everything. April Fool's Day is a fun holiday, and I'm just having fun with it. I had no idea about some of these things. I honestly didn't even know the origins of April Fool's day probably because I thought it seemed trivial. You certainly made it far more interesting with this hub. Good read. tilsontian: Thank you for voting up. I'm so glad you enjoyed the April Fool's Day fun facts and trivia. I glad it was as much fun to read as it was to write. Well, not reading this hub would certainly make one foolish! You've packed it with so many interesting trivia facts about so many things we thought we knew! A truly fun read from start to finish. Billybuc: Plus you will know what fool's gold is in that trivia contest. I barely pressed publish and I have a comment from you. How do you do it. You don't have to answer; just know I appreciate the comments.